Dam Trau Beach (bãi biển Đầm Trấu) is situated at the edge of Con Dao National Park and near the Co Ong airport, 4 km from the town center to the Northwest. The beach is an excellent beach with blue water, gentle waves, quiet space, golden sand, and fresh air. It is surrounded by old green pine trees, a prominent bamboo forest, and pockets of tropical jungle. In Dam Trau beach, tourists not only enjoy comfortable moments of sunbathing and swimming but also get to know its culture and history. Dam Trau beach is hence an ideal tourist attraction for travelers to visit. Let’s discover the attractive and wild beauty of Dam Trau Beach, Vietnam. Good weather plays an important role to help your trip to be successful. The ideal time to visit Dam Trau beach is from March to September. At this time, there aren’t many big waves on the beach, so it is calm and ideal for swimming. You can go to Dam Trau beach by car or motorcycle. It should need a guide of the local community or National Park for guidance. This beach is suitable for camping, relaxation, and team building. One side of the beach is the large black rock beach where you can climb over to discover a nice and small beach, unspoiled and mysterious. The scenery of the beach is so delightful, which is surrounded by green forest. On sunny days, tourists can visit the beach to savor the moments of relaxation with the island’s natural beauty, blue beaches, and golden sand. The beach particularly lies on the water similar to a magical green oasis in the immense sea. Due to its beautiful innocent, mysterious, romantic, wild, and charming beauty, people usually compare the beach like the fairy girl drunk walking along the coast. 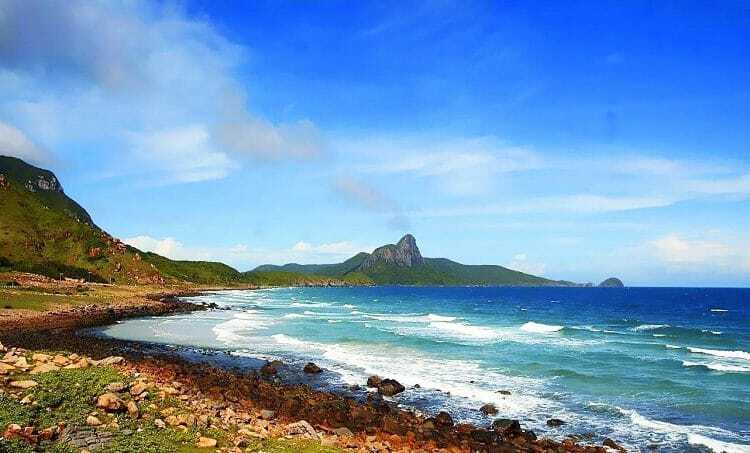 In addition to the pristine beauty, the beach helps to nurture primitive forest, birds, colorful coral reefs, and many other organisms in Con Dao Island because it functions as the ecological preservation. Besides, there are strangely shaped cliffs on a rocky outcrop to the sea in Dam Trau beach, so tourists will be witnessed two large rocks bunched together look like the pair of sea-mews tightly wrapped together. Plus, the unusual shape of the pair of stones is related to the sad love of an unfaithful couple. From Dam Trau Beach, visitors can walk through a short forest road to reach Hot Spring Beach (Suoi Nong Beach). The beach retains its unspoiled beauty because few people know about it. It looks like a colorful picture of the tropical sea with rare mangrove ecosystem and white sand. Camping on Dam Trau Beach is a great experience because the beach is gorgeous and clean. 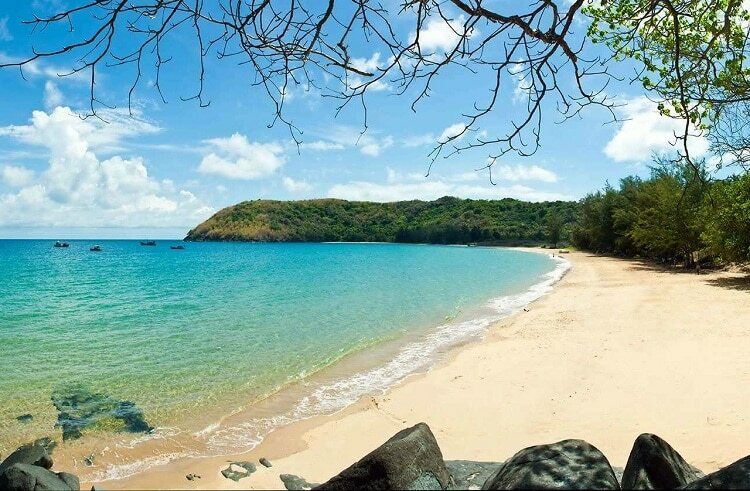 There is also good snorkeling 700 m from shore which is the best spot on Con Dao Island to see an ocean sunset. You can also eat fresh seafood in this beach with very reasonable price. There are three low-key lounges or bars on the beach. It’s advisable to try the bar on the right since it has tastefully set up loungers, sofas, and beach chairs. It also has a bounty of fresh fruit for cold beer and shakes. You can sit and enjoy the fresh foods in a tree house, swimming, eat after walking along the beach, staying in a tent facing the sea overnight as well as other services at Dam Trau Village restaurant & bar. Dam Trau is the most fantastic beach where you can enjoy Snorkeling or swimming. Let’s visit Dam Trau beach one day to explore the mysteries of nature and widely beauty in Con Dao Island. 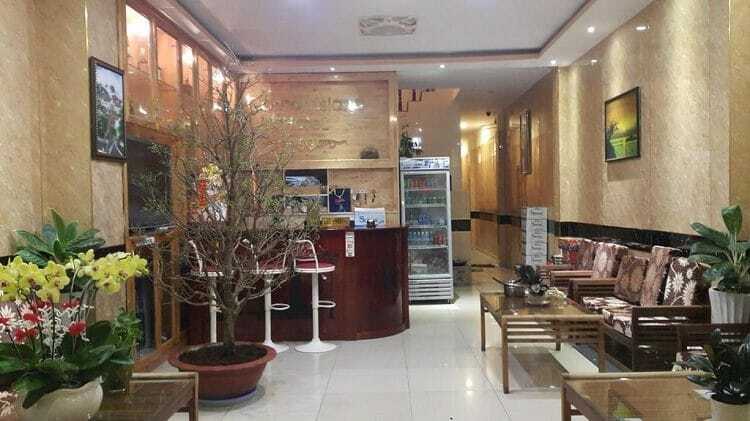 Enjoyed this post and want more useful tips on what to do, eat and see in Vietnam? Visit our Vina homepage right now!